We had a great workday on Saturday, November 17th. Thirteen people showed up to help clear trail and collect trash. For those of you who haven’t been out, the trail is complete from the gateway at Lincoln Drive and Allens Lane across Cresheim Road with a loop trail on the other side between Cresheim Road and the Chestnut Hill West line. Walking from Lincoln Drive on the Cresheim Trail you will see a fork. 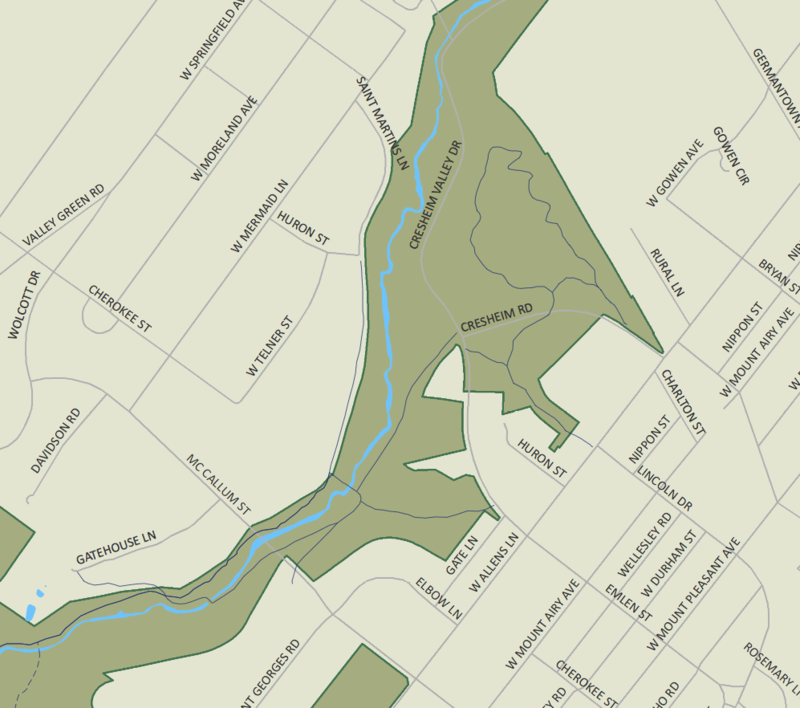 The left fork takes you down to Cresheim Valley Drive/Emlen Street and Cresheim Road, where you can connect with the Wissahickon Valley trails. The right fork will take you to Cresheim Road, where you can cross the street and continue on the other side. The trail is heavily used by near neighbors, dog-walkers, mountain bikers and students.